USA Hockey and the Olympic Regional Development Authority will host a pair of international tournaments simultaneously at the Olympic Center in Lake Placid, N.Y., from Nov. 4-9, 2008. The Women’s Four Nations Cup will feature the United States, Canada, Finland and Sweden, while the Men’s Under-18 Four Nations Cup will highlight the United States, Finland, Sweden and Switzerland. The majority of the games will take place in the 1980 Rink Herb Brooks Arena, the location of the historic “Miracle on Ice” victory. 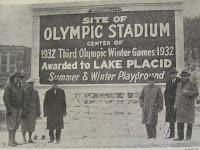 The remainder of the games will also take place in the Olympic Center, at the 1932 Arena. Both tournaments will get underway Tues., November 4, with the men’s championship games set for Sat., November 8, and the women’s championship games to take place Sun., November 9. On the men’s side, the U.S. National Under-18 Team will take part in the event, which is part of USA Hockey’s National Team Development Program in Ann Arbor, Mich. For the women, the U.S. Women’s Select Team will play in the tournament. 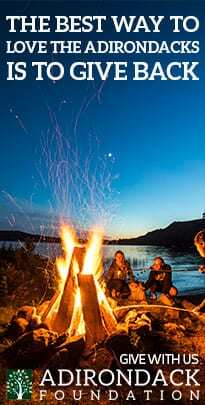 The Adirondack Mountain Club (ADK) is bringing a little bit of wilderness to the Capital Region of New York when it hosts “A Wilderness Affair 2008: Get Wild for Wilderness!” from 5:30 p.m. to 9 p.m., on Saturday, Nov. 1, at the Albany Marriott Hotel. This will be ADK’s 12th annual silent and live auction gala. The event is open to the public and guests will enjoy dinner, music by a jazz trio and an ale sampling hosted by the Cooperstown Brewing Co. There will also be a cash bar. 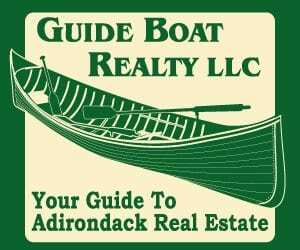 Auction items will include original art, rustic Adirondack-style furnishings, sports gear, jewelry, adventure trips, getaway packages, concert and theater tickets, and unique gift baskets donated by ADK chapters. Items can be previewed at www.adk.org. 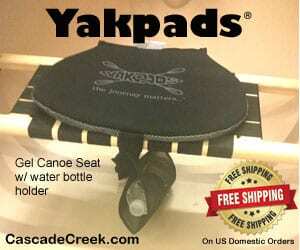 There will also be a drawing for a canoe, a camping package and a handmade quilt. 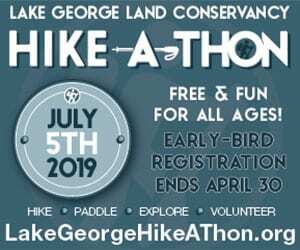 Proceeds will help support the club’s conservation, environmental advocacy, education and recreation programs. This is a great opportunity to find unique gift ideas for the holidays while supporting a good cause. Fred LeBrun, columnist for the Albany Times Union, is honorary chair of the event, and Gregory McKnight will be the master of ceremonies. The auction will be conducted by Jim and Danielle Carter of Acorn Estates & Appraisals. Corporate sponsors include Velocity Print Solutions, JBI Helicopter Services, Ringer Leasing Corp., TD Banknorth and Cooperstown Brewing Co.
Tickets are $55 per person. Reservations are required and can be made online or by calling (800) 395-8080 Ext. 25. To donate an auction item or become a corporate sponsor, call (800) 395-8080 Ext. 14. For the seventh time in his last eight competitions in Lake Placid, Anders Johnson [video] of Park City, Utah, ski jumped to the head of the field Sunday in completing a sweep of the Flaming Leaves Festival. 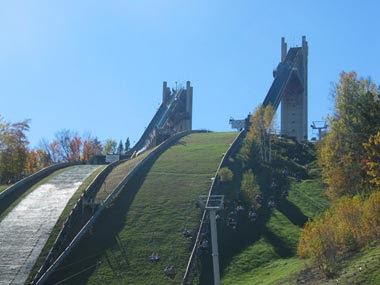 After taking Saturday’s national championship on the 90 meter hill, Johnson returned to the same Olympic Jumping Complex 24 hours later, under similar sunshine and 65 degree weather, and captured the NYSEF 90 Meter Super Tour event. While vendors offered their goods and live bands performed under the tent, Johnson had the two best jumps of the day at 100.5 and 102 meters. His distance and style points totaled 263.5 for an easy victory. Eric Camerota of Park City was second with 249.5 points on jumps of 99.5 and 93 meters. Third place went to Nick Alexander of Lebanon, N.H. after jumping 99 and 92.5 meters for 246 points. Lake Placid’s Andrew Bliss was fourth on the strength of his opening jump of 97 meters. A second attempt of 89.5 gave Bliss 240 points. Bill Demong of Vermontville, N.Y., sponsored by the Olympic Regional Development Authority (ORDA), was eighth after placing third in the national championship ski jump and second in the Nordic combined nationals, both on Saturday. Demong is preparing to be inducted into the Saranac Lake High School Hall of Fame this week as part of the 1995 state high school championship cross country team. Jessica Jerome of Park City was next with 97 and 89.5 meter jumps for 237.5 points. Avery Ardovino, Park City, secured third by jumping 89 and 92.5 meters for 226.5 points. Sisters Nina and Danielle Lussi of Lake Placid finished 10th and 11th, respectively. Canadian jumpers came to the surface in the junior division as Calgary, Alberta’s Yukon De Leeuw grabbed the title ahead of teammate Matthew Rowley, also of Calgary. Brian Wallace of Woodbury, Minn. placed third, just a point from second place. With the close of the Flaming Leaves Festival comes the start of a fall training camp in Lake Placid for many of these competitors. The winter version of this sport gets underway, on snow, next month. For complete results, including event photos, please log on to www.orda.org. 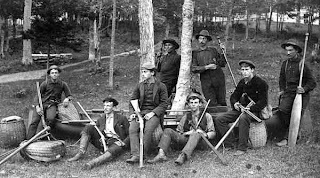 The Adirondack Museum is planning to celebrate National Hunting and Fishing Day tomorrow Saturday, September 27, 2008. The museum is planning “A Sportsman’s Paradise,” a day-long extravaganza of programs, demonstrations, and music – just for outdoor enthusiasts. Activities are scheduled from 10:00 a.m. until 5:00 p.m. All are included in the price of general admission. Demonstrations will include “Casting a Line” with licensed guide and fly-fisherman Patrick Sisti, “Fly Tying” with Geoff Schaake co-owner of the fly-fishing and fly-tying web site www.theanglersnet.com, and “Fish Decoys and Lures” from mother-of-pearl as made by Peter Heid. Members of the American Mountain Men will return to the museum campus, creating a living history camp that will feature the traditional equipment and gear that would have been typical of a nineteenth century hunting excursion in the Great North Woods. The group will discuss historic hunting and trapping techniques and demonstrate target shooting with Flintlocks as well as knife and tomahawk throwing. An Author’s Corner and Book Signing will be held in the museum’s Marion River Carry Pavilion from 10:00 a.m. until 2:00 p.m. 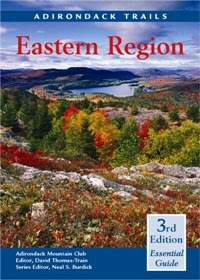 Participants will include: Dan Ladd, whose book Deer Hunting in the Adirondacks serves not only as a guide to public lands open to hunting, but also looks at the history and lore surrounding hunting in the Adirondacks; Robert Elinskas, author of A Deer Hunter’s History Book – a collection of tales from the Blue Ridge Wilderness Area; and Donald Wharton whose collection of Adirondack outdoor stories about trout fishing, bush pilots, deer hunting and more is entitled Adirondack Forest and Stream: An Outdoorsmen’s Reader. The New York State Department of Environmental Conservation booth will provide information and answer questions about hunting and fishing in the Adirondacks throughout the day. Adirondack musician and storyteller Christopher Shaw will delight audiences of all ages with music celebrating the great Adirondack outdoors at 1:00 p.m. and 3:00 p.m.
At 2:00 p.m. an illustrated presentation, “Images From Trail Cameras,” will be held in the Mark W. Potter Education Center. The day will conclude with “Adirondack Pond Fishing 101” with Patrick Sisti. Sisti specializes in fly-fishing, fishing trips on the Indian River and Adirondack ponds in central Hamilton County as well as hiking camping, canoeing, and nature walks. 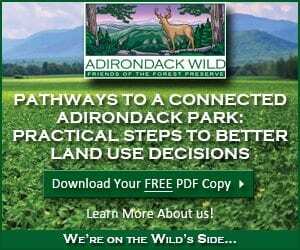 His presentation will take participants through the steps taken to locate an Adirondack pond, get there, and fish. Handouts will be provided. 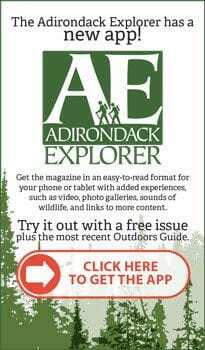 “A Sportsman’s Paradise” visitors should not miss the exhibits “Woods and Waters: Outdoor Recreation in The Adirondacks,” the “Buck Lake Club: An Adirondack Hunting Camp,” and “The Great Outdoors” – an interactive space that is perfect for family adventures. 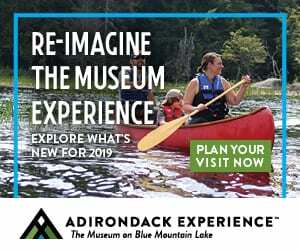 The Adirondack Museum tells the story of the Adirondacks through exhibits, special events, classes for schools, and hands-on activities for visitors of all ages. Open for the season through October 19, 2008. 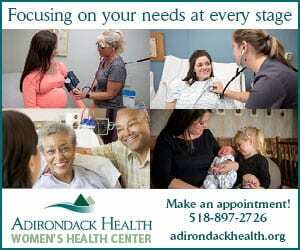 For information call (518) 352-7311, or visit www.adirondackmuseum.org. The Adirondacks are criss-crossed by hundreds of miles of snowmobile trails. A free Adirondack Snowmobile Trail Map is available here. Trailsource is also an excellent resource for New York State snowmobile trails. Conditions throughout the region vary depending on elevation, nearness to large lakes, and latitude. Our post on the history of snowmobiling in the Adirondacks tracks the development of the snowmobile (or more generally, motorized snow travel) from the emergence of snow machines in the early 1900s, through the development of the personal sled that is so familiar today. The five part history continues into the explosion of makes and models and the spread of snowmobiling throughout the Adirondack region with races, clubs, and dealers taking advantage of the boon in snowmobile sales that occurred from 1965 to 1970. It concludes with the emerging conflicts over snowmobiles in the Adirondack Region. The DEC and the Office of Parks Recreation and Historic Preservation are developing a Snowmobile Plan for the Adirondack Park. The plan will establish a baseline for creating a comprehensive and integrated Adirondack Park snowmobile trail system. 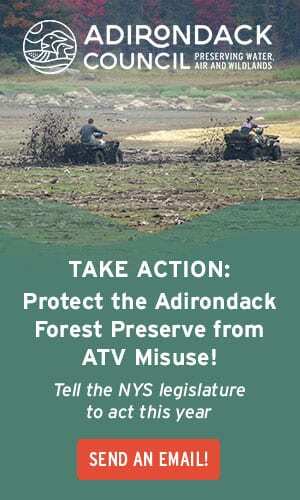 It also establishes standards for developing and maintaining trails on DEC managed lands in the Adirondacks. 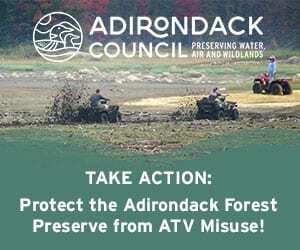 Despite the excitement of some snowmobile clubs who have misrepresented the plan’s goals and effects by claiming that it will mean no new trails in the Adirondacks, the plan will likely call for the establishment of long-awaited new connector trails between towns. The APA is accepting comments on the plan until March 4, 2008. Statewide there were nine people were killed on snowmobiles in December 2007. In January 2008 an ATV and two snowmobiles went through the ice on Lake Pleasant in Hamilton County and a snowmobile went through the ice on Lake George in Warren County. 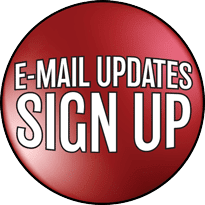 Worse news came in February 2008 however, with the tragic deaths of three snowmobilers within five days on Trail 7C connecting Boonville and Forestport. The winter of 2007-2008 has claimed 18 snowmobilers lives so far (the deadliest sledding season was 2002-2003 when 31 riders died, their were 10 fatalities in New York in the 2006-2007 season and 14 the year before that). Snowmobiling can be dangerous. Use common sense and avoid thin ice on lakes and rivers, and high speeds on trails. 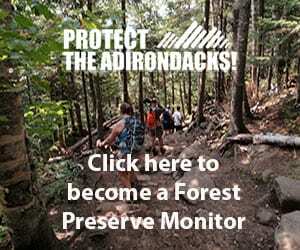 Here is (in no particular order) Adirondack Almanack’s List of the Seven Natural Wonders of the Adirondacks. The Seven Human-Made Wonders can be found here. Feel free to add your comments and suggestions. » Continue Reading. Today, geographic positioning systems (GPS), emergency beacons, and helicopter rescue teams mean that being dangerously lost in the Adirondack wilderness is usually only a temporary situation. 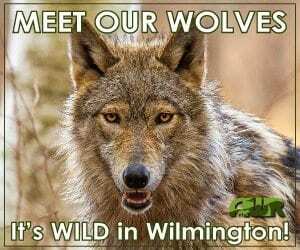 The lack of significant large predators capable of harming us and our generally warmer weather (thanks to persistent global warming) all make traveling in the Adirondack region less dangerous. Still, at every river crossing, every icy trail, and every dangerous ledge or mountaintop, every swimming hole and picturesque lake, danger continues to lurk. The unprepared and ill equipped, the inexperienced, and sometimes the just plain unlucky, can all still find themselves in dangerous, life-threatening and sometime life-taking situations. 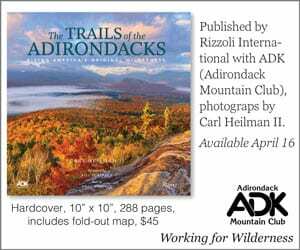 Each year dozens of people are lost, stranded, injured, and killed in the wilderness, on mountaintops, and lakes and rivers of the Adirondack region. Recently, there was one more. Barbara Brotman, who describes herself as the Chicago Tribune‘s Outdoor Adviser columnist, found out that it takes more than a cushy newspaper job title to make someone safe in the wilderness – it takes careful planning and preparedness. Brotman, her Tribune photographer husband Chuck Berman, and their daughter, decided to take on Crane Mountain in Johnsburg, Warren County. Without a map and without enough water. They did remember to bring their poorly charged cell phone however. His advice was a warning. Crane was an outlying mountain. The trail was hard to find and hard to hike. And Adirondack trails in general are difficult and steep, he said. Unlike in the Rockies, where switchbacks allow gradual gains in altitude, Adirondack trails were cut by 19th Century guides who took the shortest route to the top. First, Berman dropped out. While he no doubt got some great snap shots and video footage, he had failed to drink enough water as he climbed the fairly steep 1.4 miles. As he approached heat exhaustion and dehydration two young hikers descending on the same trail met the Chicago party. Did the Outdoor Adviser assist her ill husband back down the mountain? No. She left it to the other hikers to take him down. Brotman and her daughter continued up, saw the sights, and while eating lunch realized they had little water left. That didn’t stop them from continuing on for an afternoon swim on the shoulder of the mountain – no trail markers, no map, no problem. Again, my failure to bring a trail map was proving costly. There was no sign telling how to return to the parking lot. The trail continued along the pond’s edge, but it was in what felt like the wrong direction. We had passed what seemed to be another trail heading back into the woods marked by two red blazes on trees, but where did it lead? I had no idea which way to go. There was no one to ask. It was 4:30 p.m. The sun was getting lower. And now we crossed the line from challenged to scared. But we did, at this one spot, have cell phone service. I used it to call the New York State Department of Environmental Conservation emergency line. No sign telling how to return to the parking lot? Outdoor Advisor expected signs to lead her through the wilderness? This time they were lucky. They had climbed a minor Adirondack mountain unprepared and had gotten lost. Sure they hadn’t listened to Woodworth’s advice, had divided their party and burdened other hikers, and had relied on a cell phone to call for help from the DEC. Luckily, they managed to make it back to the car before dark. The season will commence with World Cup luge. After a one-year absence, the world’s top sliders return to the two-time Winter Olympic village Nov. 15-18 at the Olympic Sports Complex. A brand new men’s luge start, to be constructed this summer at the track on Mt. Van Hoevenberg, will be employed for the first time in a major event. Under the banner of the International Luge Federation, races in men’s and women’s singles, doubles and the team event are on the Lake Placid slate. One week later, Olympic gold medalist and skating legend Scott Hamilton will bring Smucker’s Stars on Ice back to the Olympic Center for the national debut of his 2007-08 tour. It will take place Saturday, Nov. 24, in the 1980 Rink Herb Brooks Arena. The International Federation for Bobsleigh and Tobogganing has a World Cup bobsled and skeleton event on the Lake Placid course from Dec. 10-16. Men and women will compete in a total of five events down the mile-long, 20 turn chute of ice. Athletes in these sports will continue to enjoy ORDA’s continuing efforts to protect the course from inclement weather as roofing will be added to more curves during the off-season. In January, the scene changes to Whiteface and the Olympic Jumping Complex for three freestyle skiing events scheduled for Jan. 18-20. The International Ski Federation as well as the U.S. Ski and Snowboard Association will conduct World Cup moguls on the Wilderness trail at Whiteface Jan. 18 and 20, while aerial skiing will occur on Jan. 19 at the jumping site in Lake Placid. Whiteface skiers and riders will be counting down the days to the mountain’s 50th birthday celebration, officially on Jan. 28. But in reality, the party will last for weeks. It begins Jan. 25 and continues with theme weekends until March 8-9. The Junior Luge World Championships will be contested back at Mt. Van Hoevenberg from Feb. 4-10 as the future stars of this exciting sport negotiate Lake Placid’s difficult track. February also brings the annual Empire State Winter Games, where New Yorkers compete on the same 1980 Winter Olympic sites. Over 1,000 athletes will converge on the community Feb. 22-24. March, in many years the best month of winter, maintains the pace with World Cup snowboarding at Whiteface March 1 and 3. The schedule brings snowboardcross to the Boreen trail on Saturday, while parallel giant slalom returns on Monday along Draper’s Drop. The North American Series Alpine Skiing Finals will be held at Whiteface March 12-16, featuring up-and-coming skiers from the U.S., Canada and abroad. The final major event is on tap March 22-23 when the 1980 Rink Herb Brooks Arena hosts the NCAA Men’s Div. III Ice Hockey Championships.